Hot Item! - Our Top Pick for Armless Nesting Chairs! These folding mesh chairs from Office Star feature a "Pro-Grid" screen mesh back rest for maximum support and ventilation. 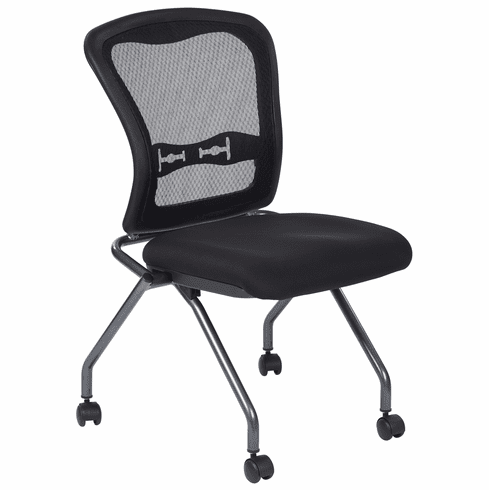 This chair is a great alternative to the Mayline TSH2 chair. Grade B Freeflex Spring Coal 30 normally ships within 1-2 business days from our CA warehouse. All other colors are custom made and ship within 6-8 business days.